The Aviation Consumer, Product of the Year. 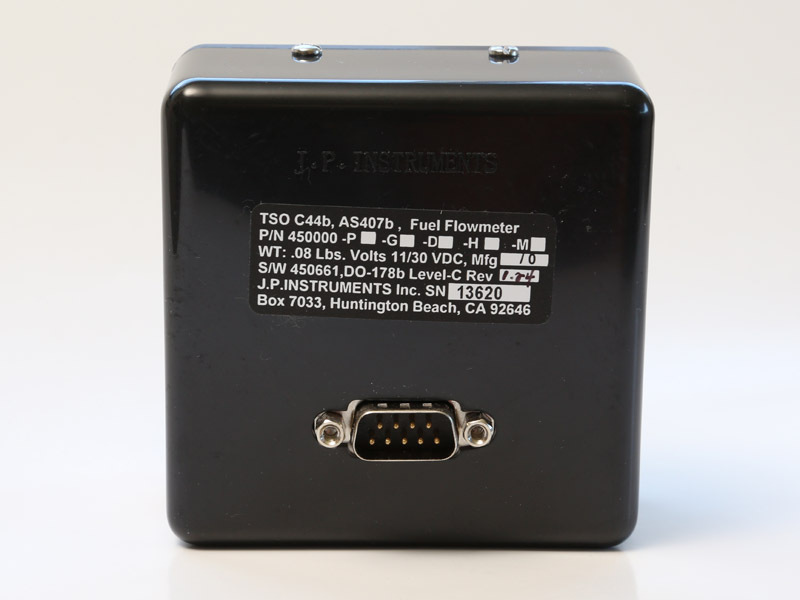 JPI’s FS-450 is our top choice because it has all the options you need for fuel management. JPI’s newest piece of panel wizardry relegates fuel-situation questions to relics of the past. With a 3 1/8 inch display, its new home between the top row of flight instruments and the top of avionics stack, the FS-450 blinked and winked the numbers to answer all my fuel-situation questions. Connected to our Honeywell Skymap IIIC, the FS-450 happily winked and blinked its way through its information inventory and left me as relaxed as any fat-dumb-and-happy aviator should get — minus the “dumb” part of the equation, of course. Heavy-duty information and a light-duty price; could you want more? Sure, easy installation would be nice, something JPI also covered. This parameter will be displayed only if your EDM is receiving flight data from your GPS (this is a standard feature which is included with the Fuel Flow option). This will tell you how much fuel is required to get to the next waypoint or destination programmed on your GPS, based on your current fuel flow rate and present position. Fuel reserve when you arrive at your next waypoint. This parameter will be displayed only if your EDM is receiving flight data from your GPS (this is a standard feature which is included with the Fuel Flow option). This will tell you how much fuel reserve you can expect when you arrive at your next waypoint or destination programmed on your GPS, at the current fuel flow rate. 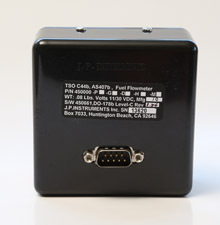 + FAA TSO for Reliability and Accuracy, a 3 year warranty. + Talks to all GPS’s including Garmins 430/530 and all handheld’s etc. 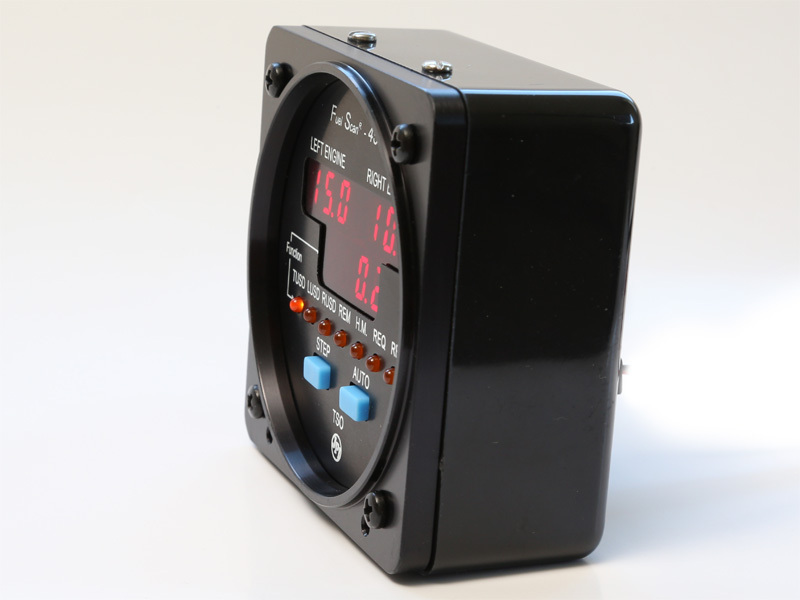 Displays gallons required to next waypoint or destination at no additional cost. FP-5L does not report “gallons to destination”. FP-5L does not work with a “handheld” GPS. 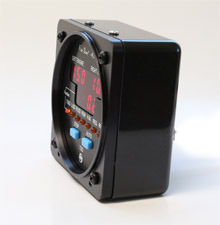 + Programmable display for Gallons, Pounds, Liters. No imperial gallons . + Remote “Warning Light” programmable with Low fuel and low time warning. + Return line systems (Pressure Carburetor) and gravity flow, no problem. • TSO’d for use in turbo-prop aircraft. + When your, El, Hoskins, or Shadin fails upgrade it to destination an FS-450 using old transducer. + “USED” Total fuel used can be set to zero at any time during flight. 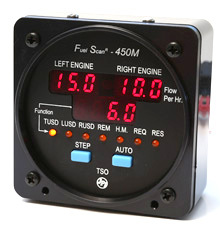 + Twin and Single FS-450M instrument. + %HP Calculated on fuel burn. The Aviation Consumer’s, Product of the Year. 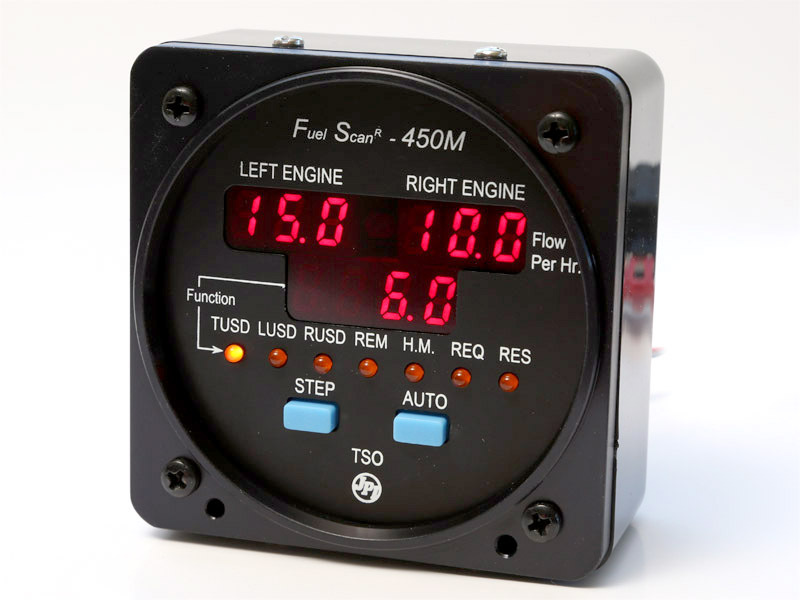 “JPI’s FS-450 is our top choice because it has all the options you need for fuel management.” -Aviation Consumer The Fuel Scan 450 Twin is the best fuel management system on the market today.